Has Canada Misfired on a Global Banking Opportunity? The acuteness of the Great Recession’s sting has dissipated over the past two years; however, the legacy remains. Western economies, notably the southern states within the European Union and the USA, averted financial disaster by shifting the risk of individual consumer default squarely upon the government’s shoulders. But now that the world appears to be on the other side of the global tempest the question must be asked: Has Canada misfired on a Global Banking opportunity? The Canadian banking system earned its 15 minutes of fame as historic financial institutions around the world sifted through the rubble of failed strategies and miscalculated capital positions. Canada’s regulatory framework sheltered the country’s biggest lenders from crippling losses, but more importantly, facilitated aggressive growth strategies. While traditional global competitors were retrenching their positions, Canadian banks levered their newfound reputation for fiscal prudence by leading with their most attractive asset: their balance sheets. Market analysts postulated Canadian banks, recognizing the world of financial institutions had become a buyers’ market, would embark upon an international shopping spree. With the exception of the Bank of Montreal (BMO) acquisition of M&I, a mid-sized bank located primarily in the American mid-west, they were wrong. The myriad of financial assets available for auction included banks, insurance companies, wealth management entities, and investment brokers / dealers. There was a plethora of supply. Unfortunately, monetizing the assets of prospective acquisition targets while accurately measuring the off-balance sheet liabilities that lurked within the notes to the financial statements only proved palatable to firms with a rigorous tolerance for risk. Not exactly a defining characteristic of the Canadian banking industry. Rather than acquire and assimilate global financial firms, Canadian banks stuck to their knitting, choosing to invest in the ambitions of their domestic commercial clients. You could say the Big 6 followed the smart money; and the smart money was flowing to Canada. BMO’s support of the greenhouse industry in South-Western Ontario underscores this initiative. Farmers in the region have enjoyed rapid expansion – over 250 acres in less than 2 years. Bank of Montreal identified the food industry as an attractive niche and developed market-oriented talent to service the industry’s needs. BMO lenders authorized credit facilities to greenhouse operators in the wake of departed, over-extended US Banks to underpin capital expenditures and currency hedges. Despite many homogenous practices within the greenhouse industry, no firm is alike on the subject of currency risk tolerance. For example, Foreign Exchange team of BMO Capital Markets presented multi-tiered, value-specific proposals to entrepreneurs with an eye on growth. 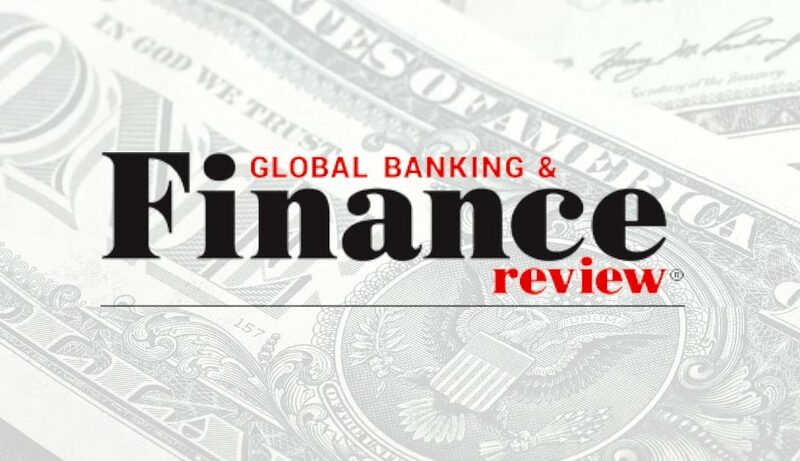 They tailored currency strategies to manage over ½ a billion in USD receivables by implementing option-based solutions to compliment risk-mitigating forward contracts and spot strategies. Option overlay structures are an excellent way to crystallize unrealized gains on deep-in-the-money forward contracts. While the appreciation of the Canadian Dollar versus its US counterpart has hurt profit margins in the industry, the Loonie’s strength versus the Euro has facilitated the purchase of greenhouse equipment. European greenhouse technology is unsurpassed in the industry and in the last 6 months BMO Capital Markets Foreign Exchange has supported the purchase of over €50 million euro. The increase in greenhouse acreage propels these Canadian firms to the upper echelon of their market and increases their global competitiveness. The greenhouse industry of South-Western Ontario exemplifies how Canadian banks are using their robust balance sheets to underpin the competitiveness of Canadian companies. The Canadian economy remains vibrant despite debt concerns in Europe and the United States. Meanwhile, inflationary price pressures threatening developing economies in South America and South-East Asia have yet to fully assert themselves north of the 49th parallel. Canada boasts a stable housing market, a labour market that continues to create jobs, and a Central Bank with the autonomy to raise rates should inflation threaten economic development. Meanwhile, global investors are flocking to Canadian securities: $15.4 Bn in June 2012; with Federal and Provincial bonds totaling $11.1Bn. Is there any wonder Canadian banks are choosing to invest their capital in Canadian firms? Rather than misfiring on a global opportunity, it appears Canada is firing on all cylinders. To learn how BMO Capital Markets can help you achieve your ambitions, email us at [email protected], or visit www.bmocm.com/fx for a list of contacts in your area. Disclaimer: The information, opinions, estimates, projections and other materials contained herein are provided as of the date hereof and are subject to change without notice. Some of the information, opinions, estimates, projections and other materials contained herein have been obtained from numerous sources and Bank of Montreal (“BMO”) and its affiliates make every effort to ensure that the contents thereof have been compiled or derived from sources believed to be reliable and to contain information and opinions which are accurate and complete. However, neither BMO nor its affiliates have independently verified or make any representation or warranty, express or implied, in respect thereof, take no responsibility for any errors and omissions which may be contained herein or accept any liability whatsoever for any loss arising from any use of or reliance on the information, opinions, estimates, projections and other materials contained herein whether relied upon by the recipient or user or any other third party (including, without limitation, any customer of the recipient or user). Information may be available to BMO and/or its affiliates that is not reflected herein. The information, opinions, estimates, projections and other materials contained herein are not to be construed as an offer to sell, a solicitation for or an offer to buy, any products or services referenced herein (including, without limitation, any commodities, securities or other financial instruments), nor shall such information, opinions, estimates, projections and other materials be considered as investment advice or as a recommendation to enter into any transaction. Additional information is available by contacting BMO or its relevant affiliate directly. BMO and/or its affiliates may make a market or deal as principal in the products (including, without limitation, any commodities, securities or other financial instruments) referenced herein. BMO, its affiliates, and/or their respective shareholders, directors, officers and/or employees may from time to time have long or short positions in any such products (including, without limitation, commodities, securities or other financial instruments). BMO Nesbitt Burns Inc. and/or BMO Capital Markets Corp., subsidiaries of BMO, may act as financial advisor and/or underwriter for certain of the corporations mentioned herein and may receive remuneration for same. BMO Capital Markets is a trade name used by BMO Financial Group for the wholesale banking businesses of Bank of Montreal, BMO Harris Bank N.A. and Bank of Montreal Ireland p.l.c., and the institutional broker dealer businesses of BMO Capital Markets Corp., BMO Nesbitt Burns Trading Corp. S.A., BMO Nesbitt Burns Securities Limited and BMO Capital Markets GKST Inc. in the U.S., BMO Nesbitt Burns Inc. in Canada, Europe and Asia, BMO Nesbitt Burns Ltée/Ltd. in Canada, BMO Capital Markets Limited in Europe, Asia and Australia and BMO Advisors Private Limited in India. TO U.S. RESIDENTS: BMO Capital Markets Corp. and/or BMO Nesbitt Burns Securities Ltd., affiliates of BMO NB, furnish this report to U.S. residents and accept responsibility for the contents herein, except to the extent that it refers to securities of Bank of Montreal. Any U.S. person wishing to effect transactions in any security discussed herein should do so through BMO Capital Markets Corp. and/or BMO Nesbitt Burns Securities Ltd.
TO U.K. RESIDENTS: The contents hereof are not directed at investors located in the U.K., other than persons described in Part VI of the Financial Services and Markets Act 2000 (Financial Promotion) Order 2001. ® Registered trademark of Bank of Montreal in the United States, Canada and elsewhere. © Copyright Bank of Montreal.